Carpal tunnel syndrome is a compression of the median nerve as it passes through the carpal tunnel in the wrist. Pseudo-carpal tunnel syndrome is much more common and is frequently misdiagnosed as carpal tunnel syndrome because of the similarity of symptoms. In true carpal tunnel syndrome, the median nerve is compressed, either by a decrease in the size of the canal, or by an increase in the size of the contents or both (swollen hands, inflamed flexor tendons, dislocated carpal bone, neoplasm, etc.). It is critical that carpal tunnel syndrome be differentially diagnosed from pseudo-carpal tunnel syndrome and other types of peripheral nerve entrapments. 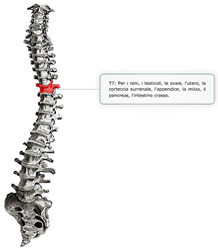 Impediments can develop anywhere along the nerve, from the cervical spine down to the hand. Repetitive movement is usually named as the primary cause of carpal tunnel syndrome, but the reality is that most of the time, there's a pre-existing metabolic imbalance that predisposes one to this condition. In fact, blood sugar issues and hyperinsulinism are usually at the roots of bilateral shoulder, arm, elbow, wrist, and hand problems. Dr. Morrison employs standard orthopedic and neurological tests in conjunction with A.K. muscle testing, to differentiate whether symptoms are stemming from problems at the elbow and wrist, or coming down from higher nerve centers in the brain. All three sides of the triad of health must be considered (chemical, emotional, and structural) when dealing with Carpal Tunnel Syndrome. As such, therapy is thorough, effective, and results are long lasting.